Decksaver DS-PC-CDJ800 Smoke/Clear Cover for CDJ800 DJParts - All Variety of Parts that DJ Needs. The club environment can be harsh, with smoke, dust and sticky liquids being daily hazards for DJs and club owners to keep in check. 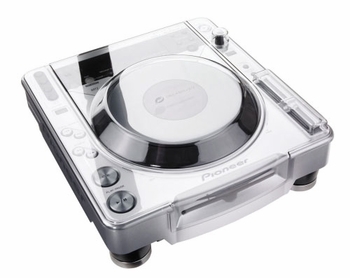 The Decksaver CDJ800 Cover is specifically designed to keep your technology investment safe and sound.